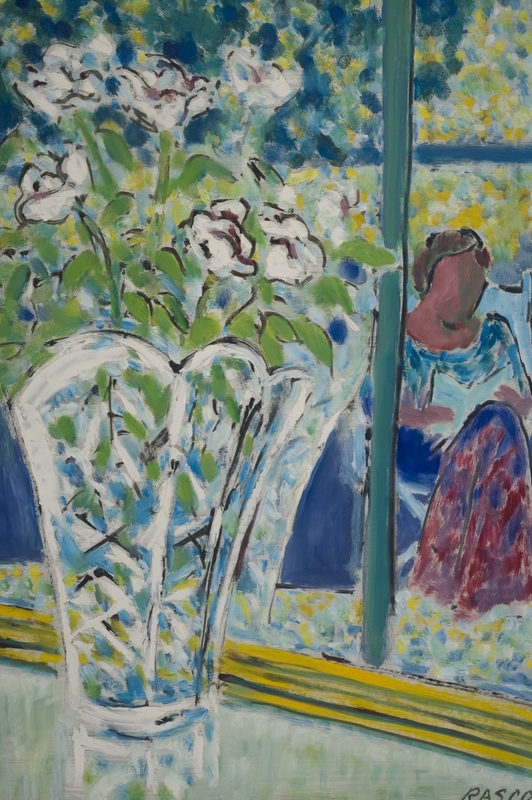 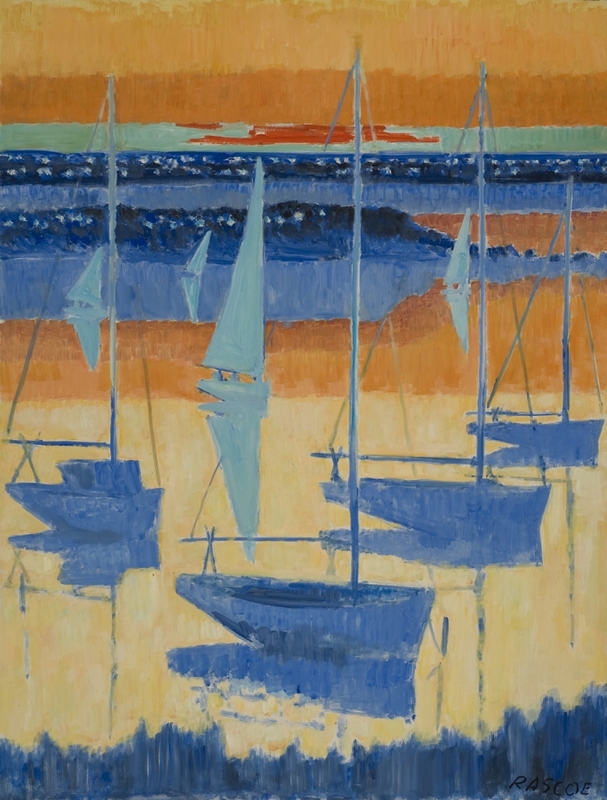 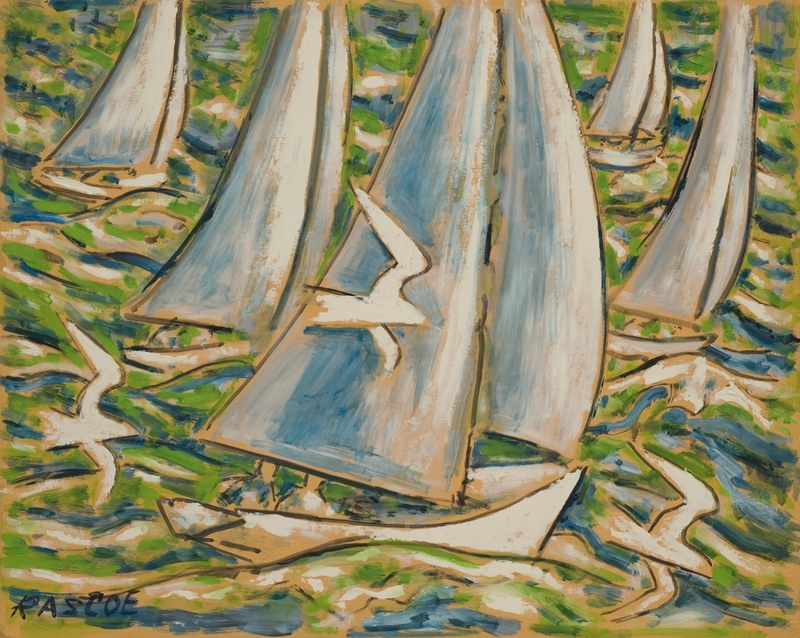 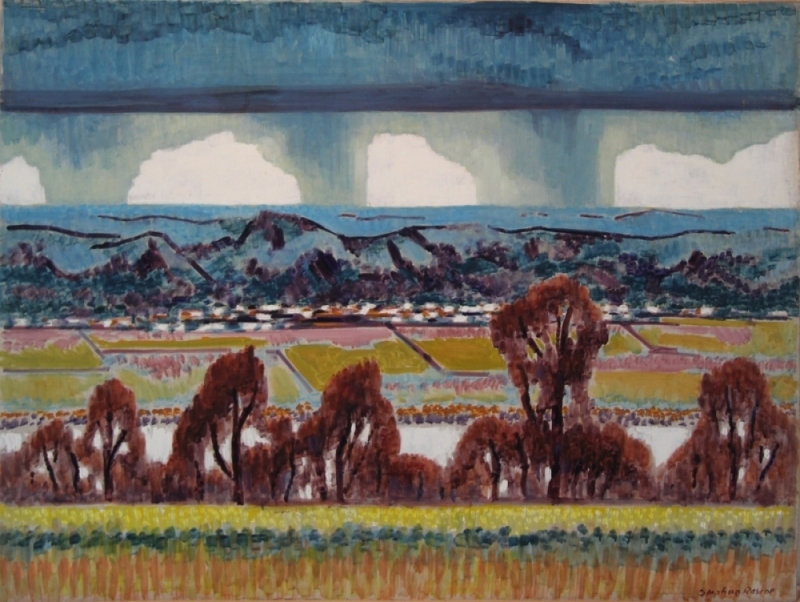 The art of Stephen Rascoe (1924–2008) spans six decades, and encompasses the vast array of colors, lines, shapes, and vignettes that both defined the artist’s experiences and sparked his creativity from the time he was a boy throughout his entire life. 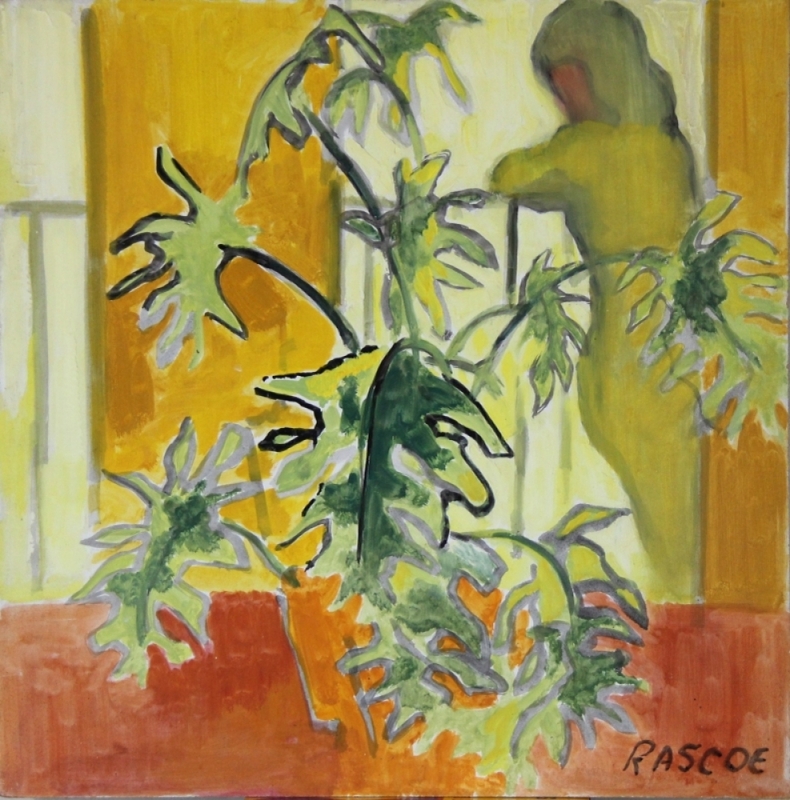 Rascoe transformed the many landscapes, interiors, and people he encountered into rich, vibrant compositions filled with recognizable imagery infused with abstracted elements highlighting the fundamental visual elements and spatial relationships within each picture plane. 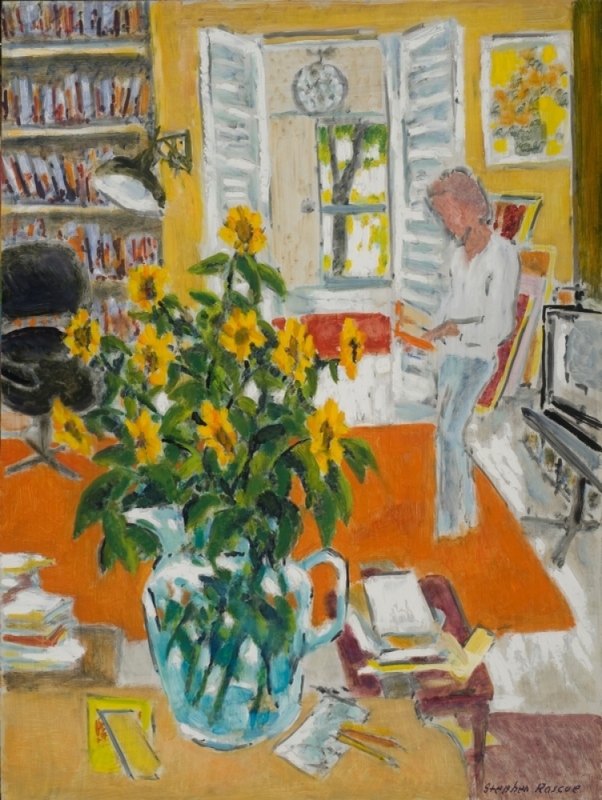 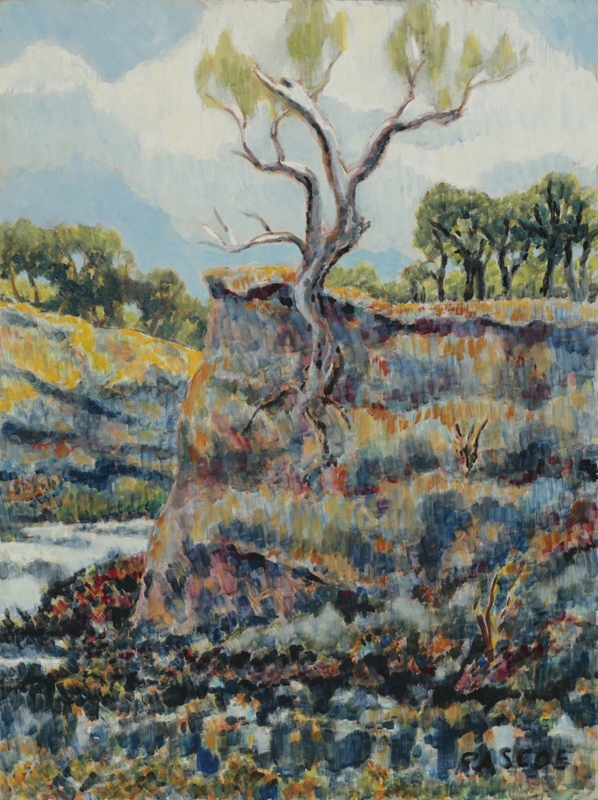 Rascoe worked professionally from 1951 to 2008, and during that time left an indelible impression on collectors, students, and the art community in North Texas and across the United States. 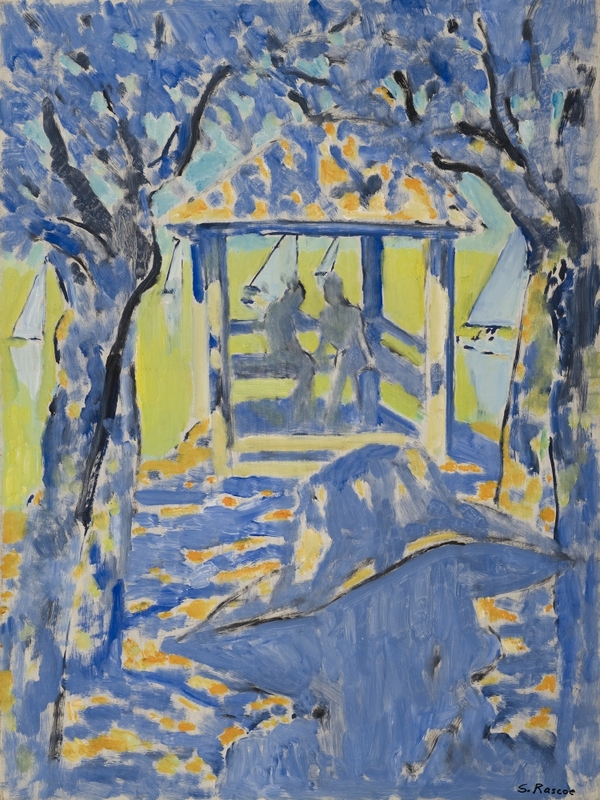 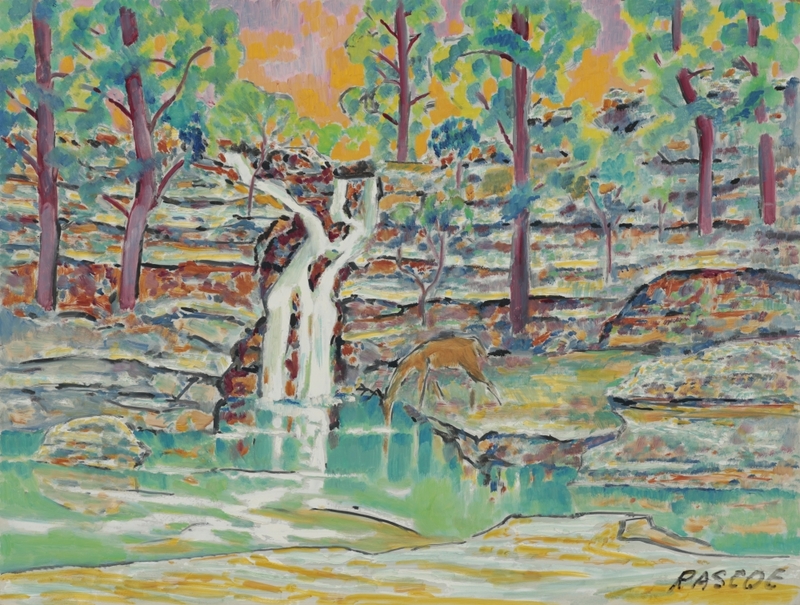 Rascoe was a fixture of the postwar Texas art scene who frequently showed alongside mid-century contemporaries such as Otis Dozier, Kelly Fearing, Michael Frary, DeForest Judd, William Lester, Everett Spruce, and Charles Umlauf, along with Fort Worth Circle artists Bill Bomar, Dickson Reeder, and Bror Utter. 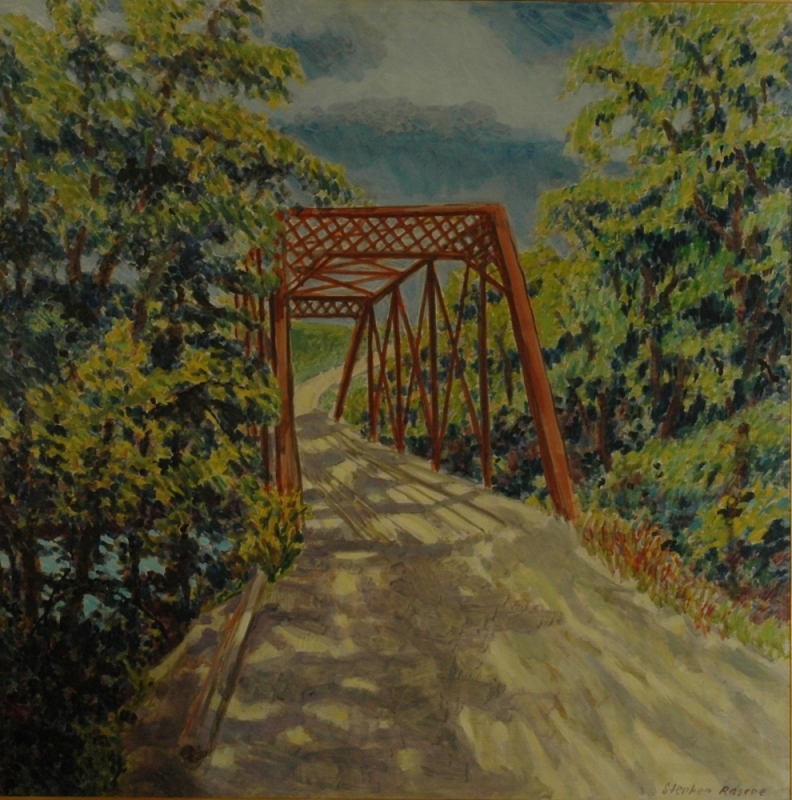 Born in Uvalde, Texas, in 1924, Rascoe grew up in Corpus Christi, and then attended the University of Texas, before serving in World War II. 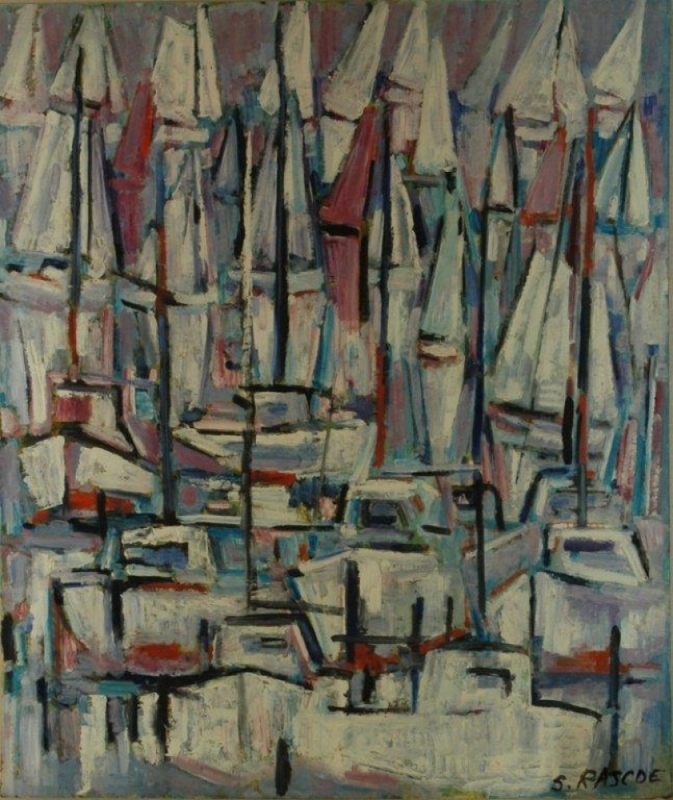 He completed his undergraduate work in fine art at the Art Institute of Chicago, where he subsequently earned an MFA in 1951. 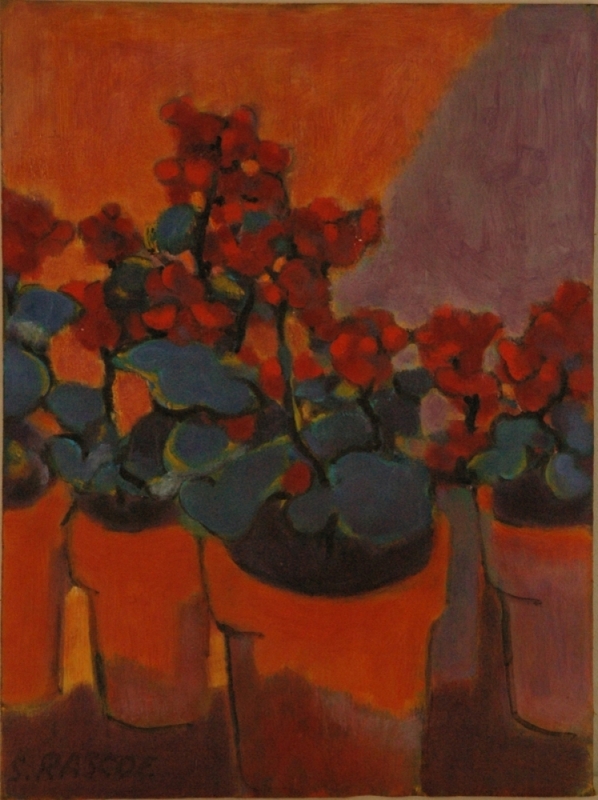 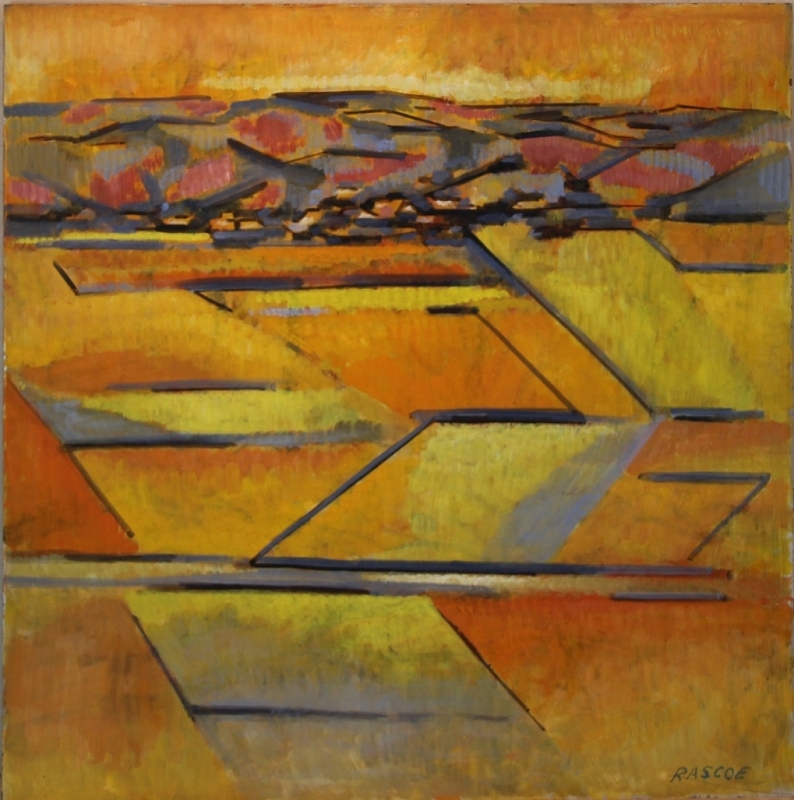 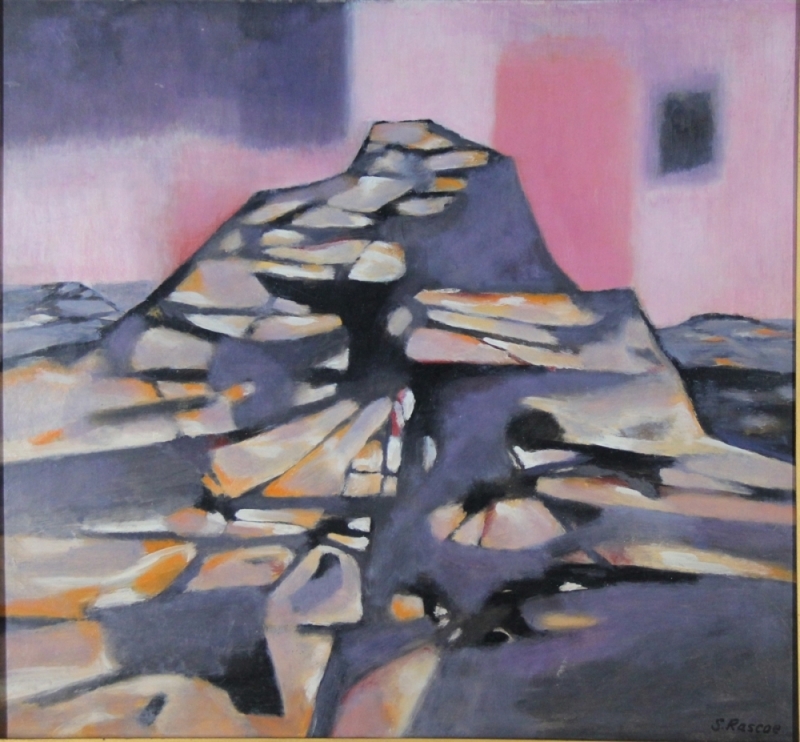 After working as a draftsman for Texaco and then Shell Oil, in 1964, Rascoe took a position as art instructor at UTA—a post offered to him by Howard Joyner, who founded the art program at the university and also played a key role in the development of the Arlington Art Association, and eventually the Arlington Museum of Art. 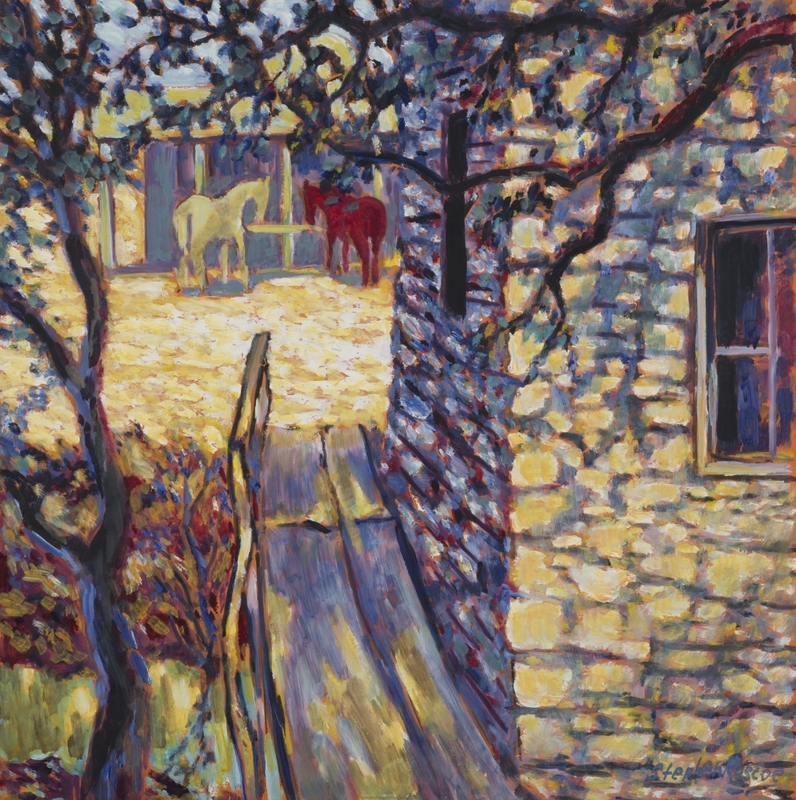 Rascoe served as professor of art at UTA until his retirement in 1992. 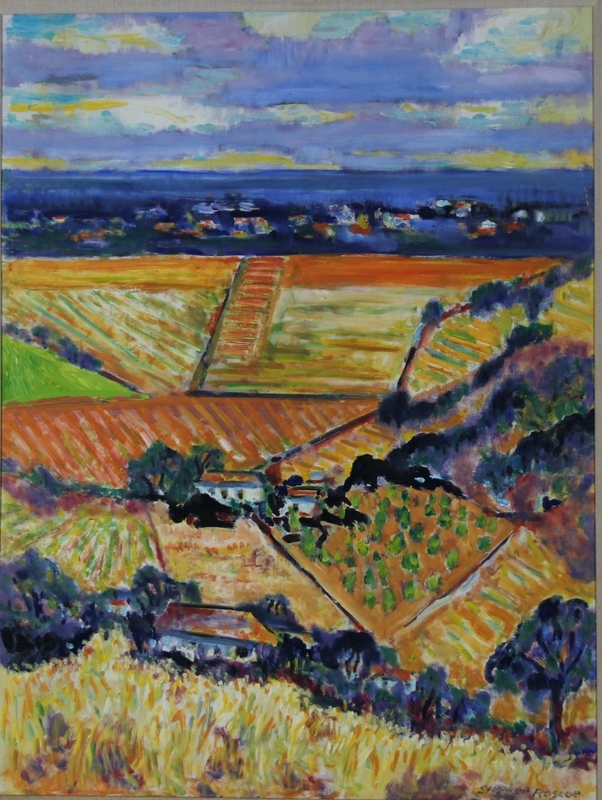 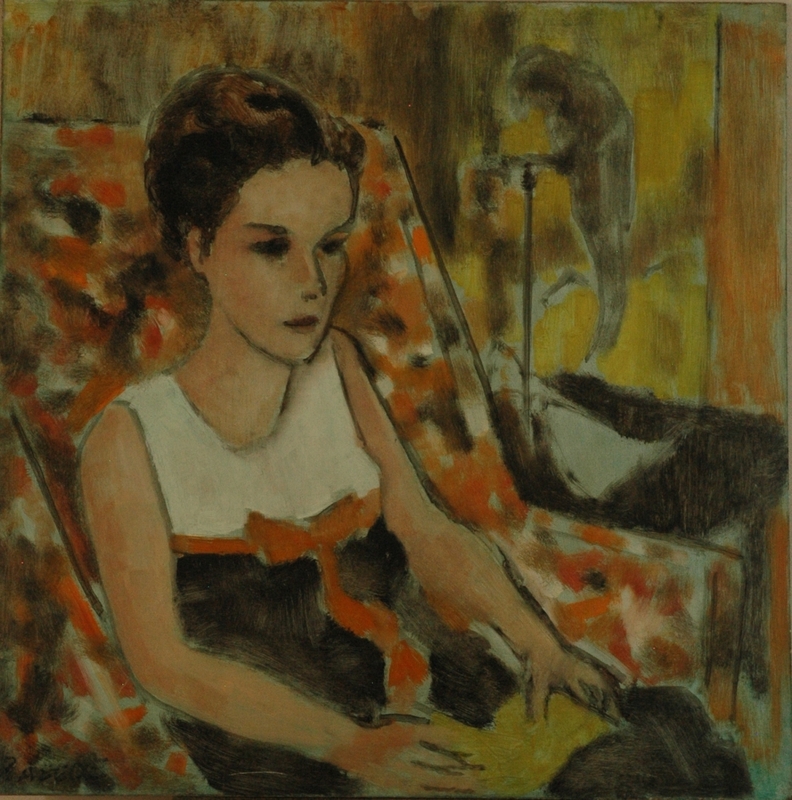 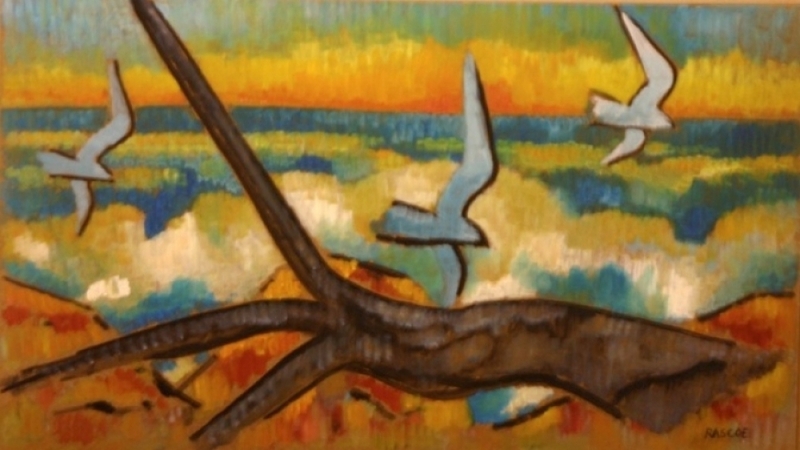 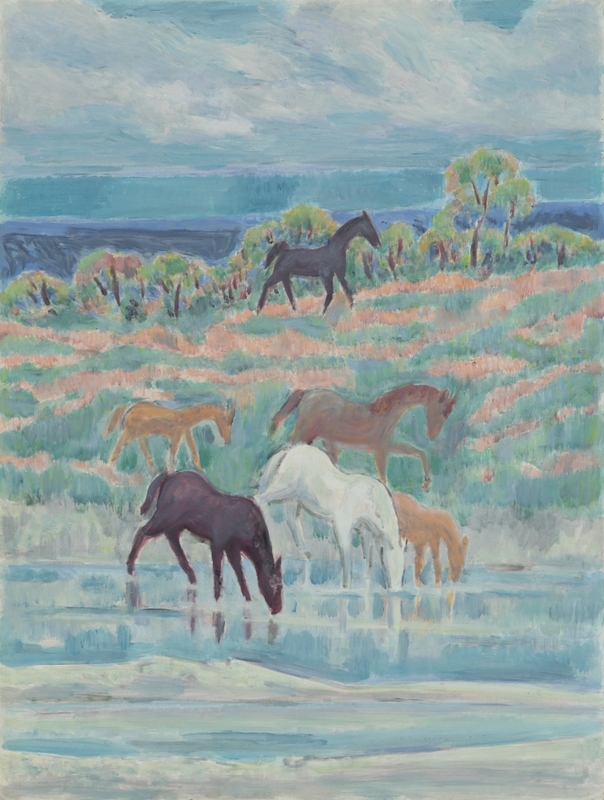 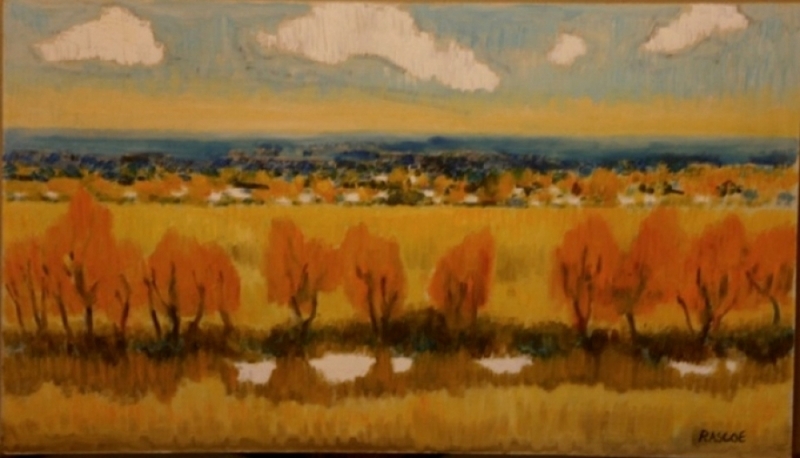 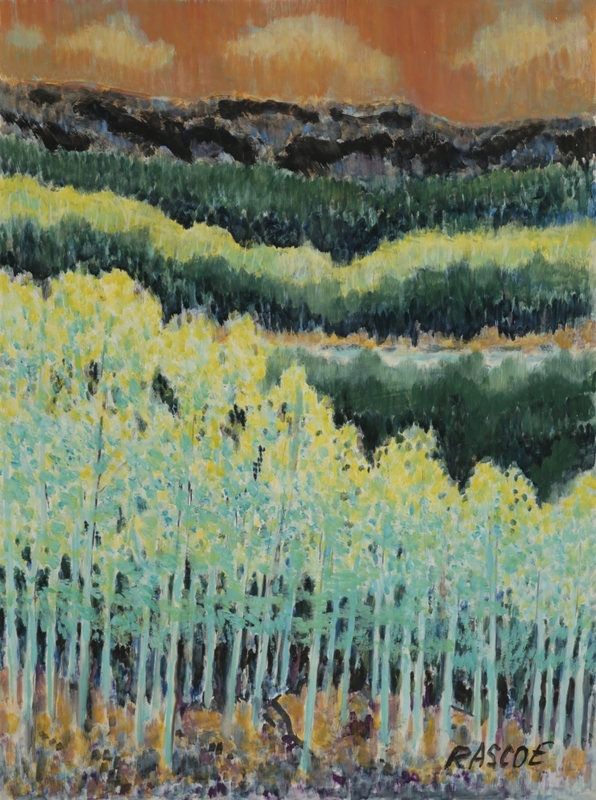 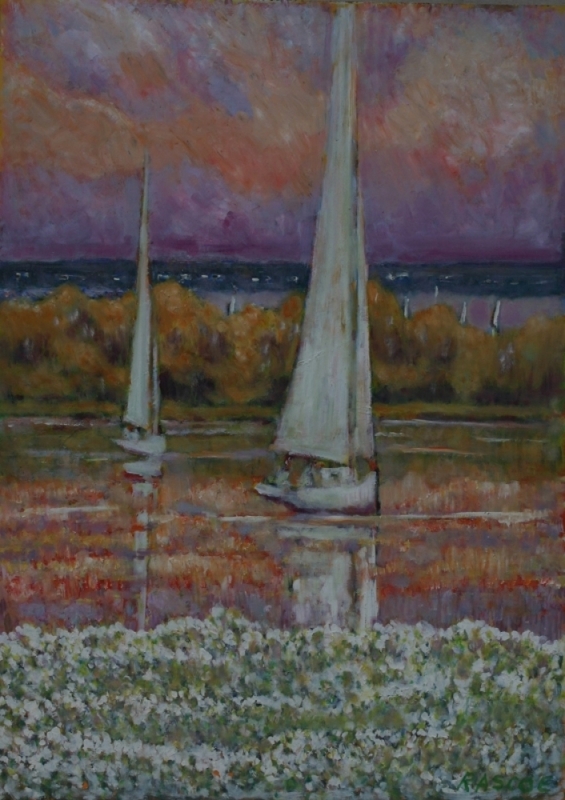 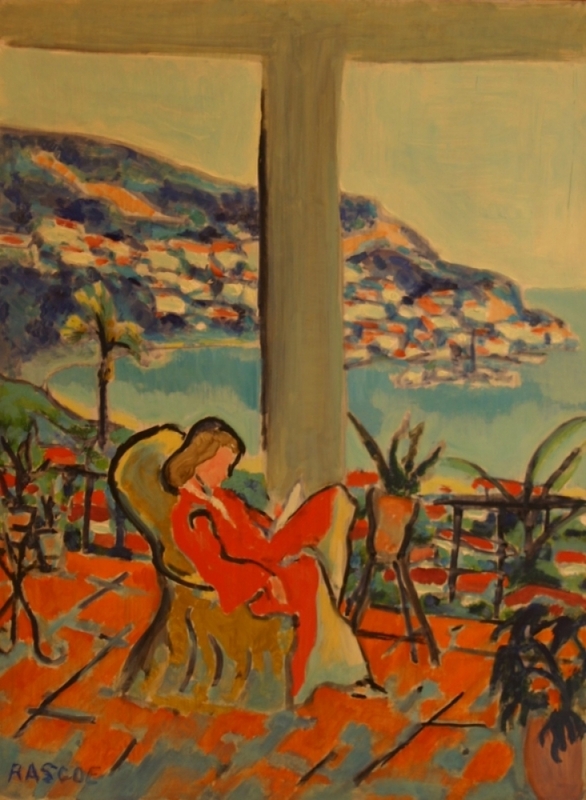 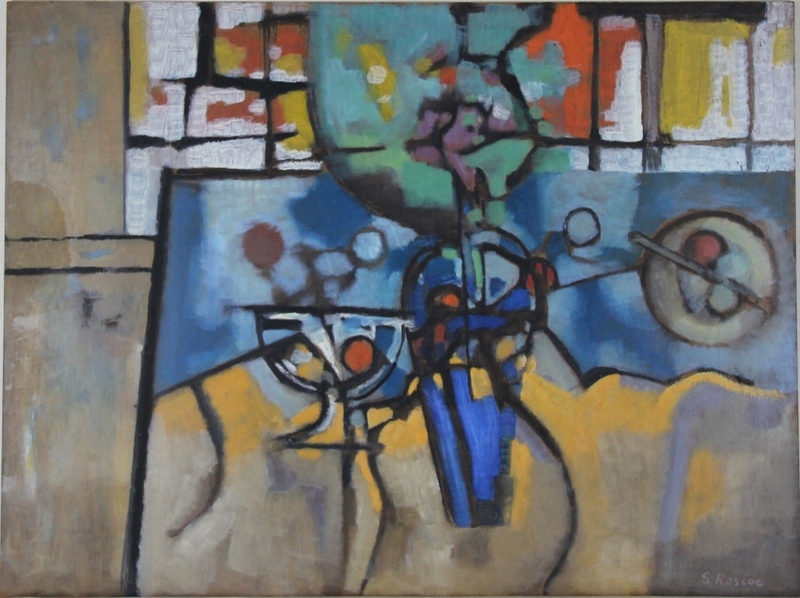 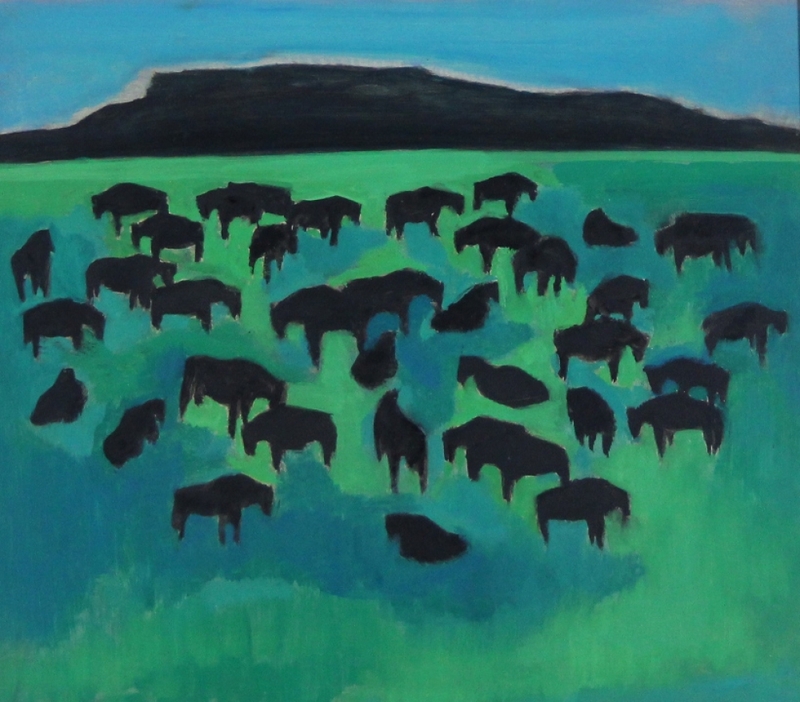 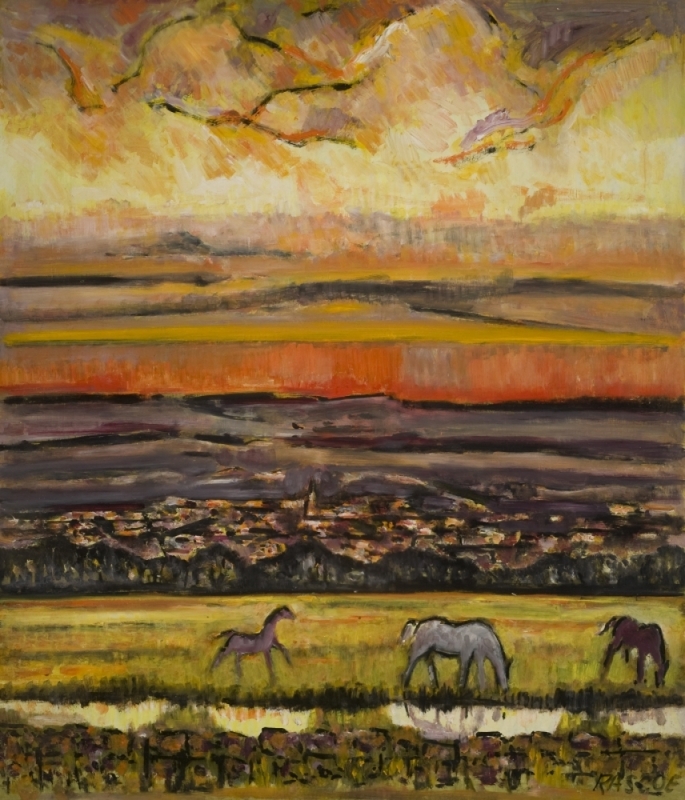 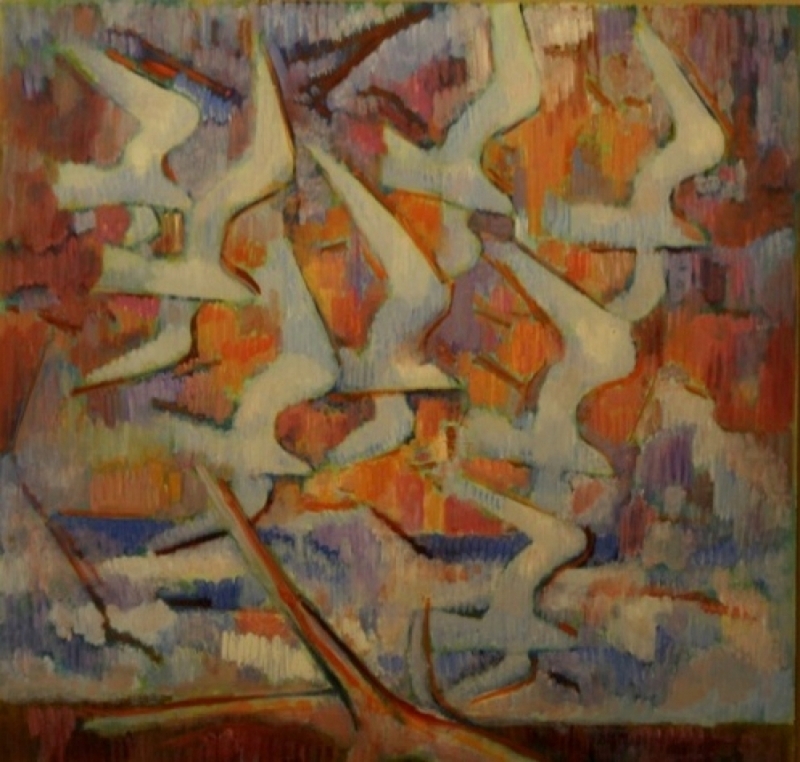 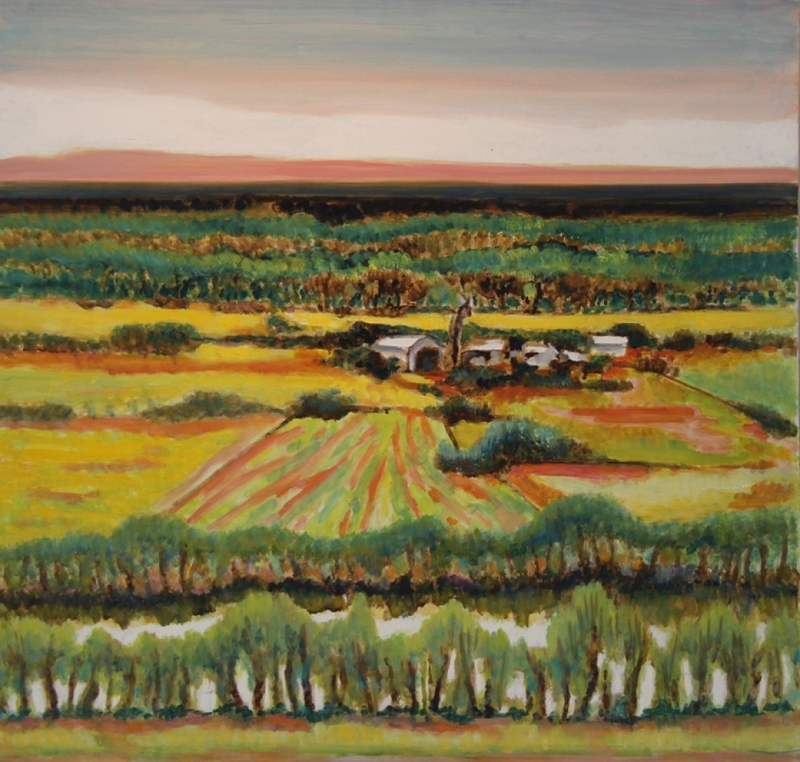 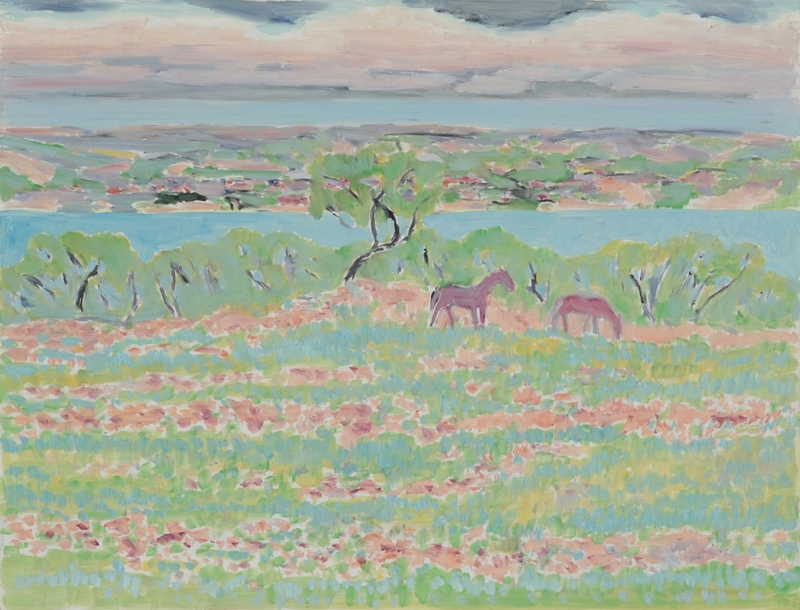 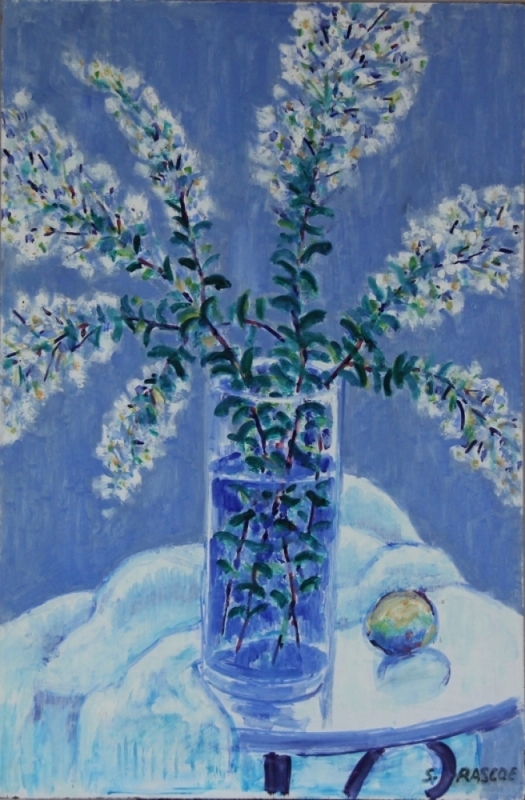 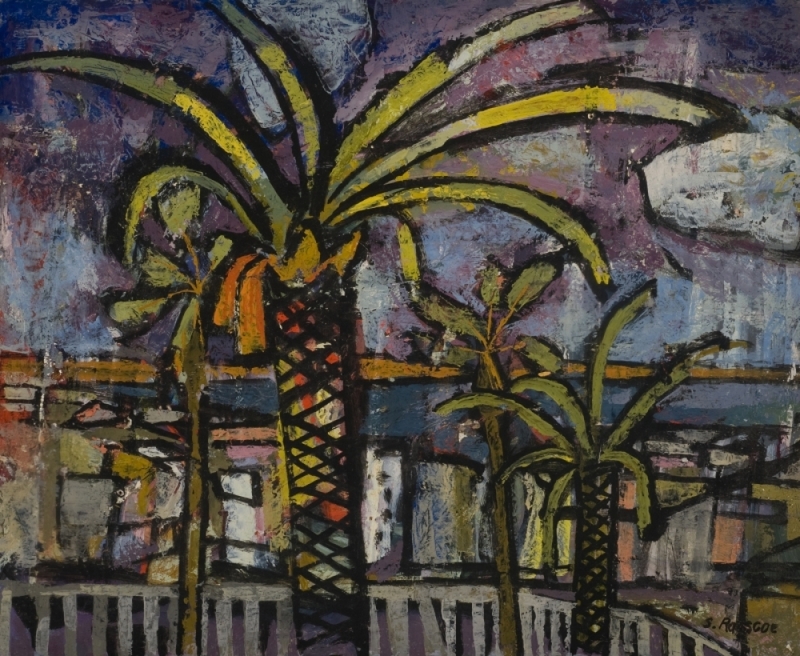 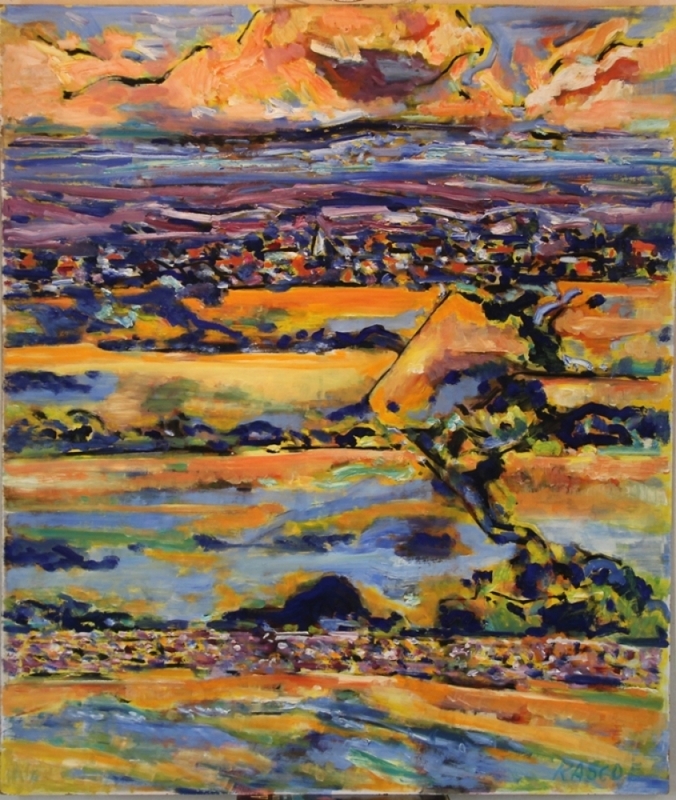 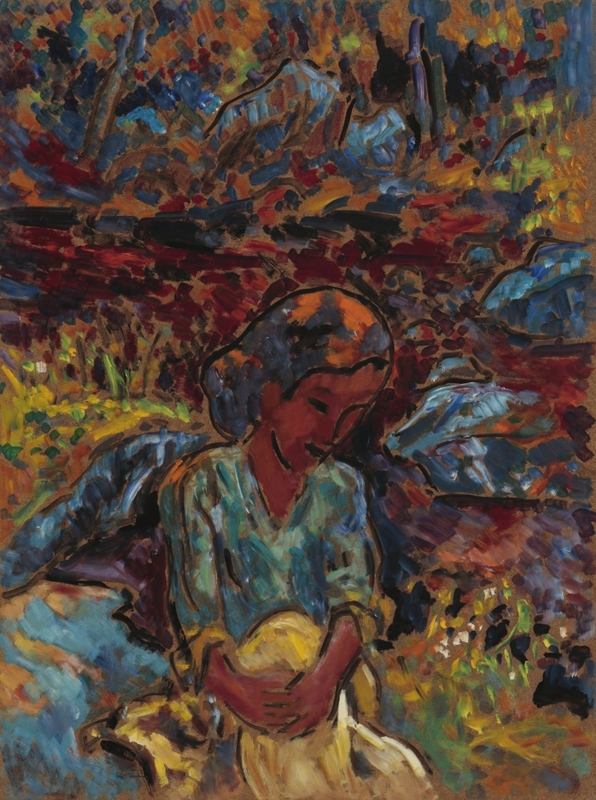 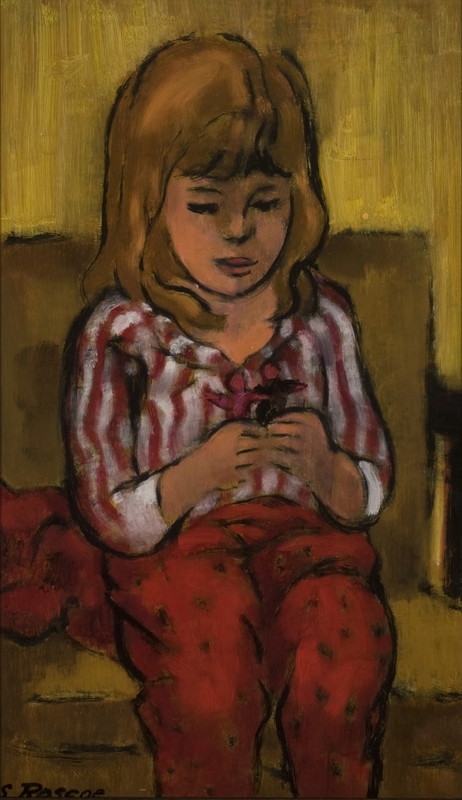 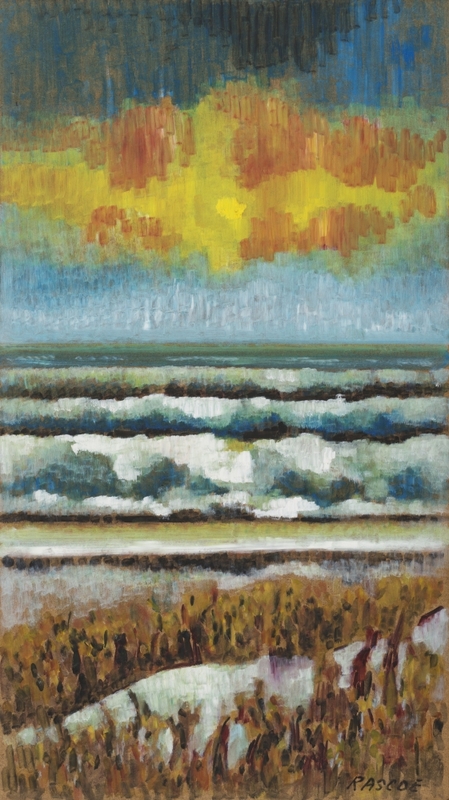 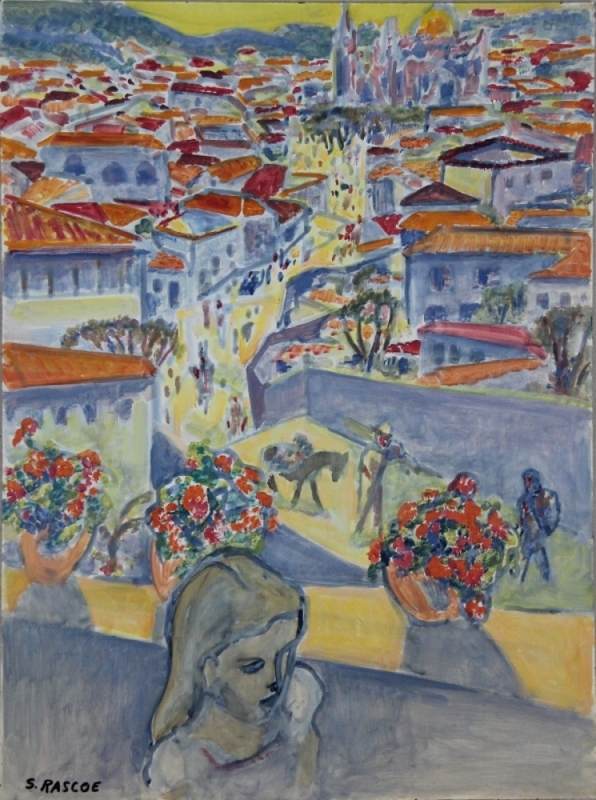 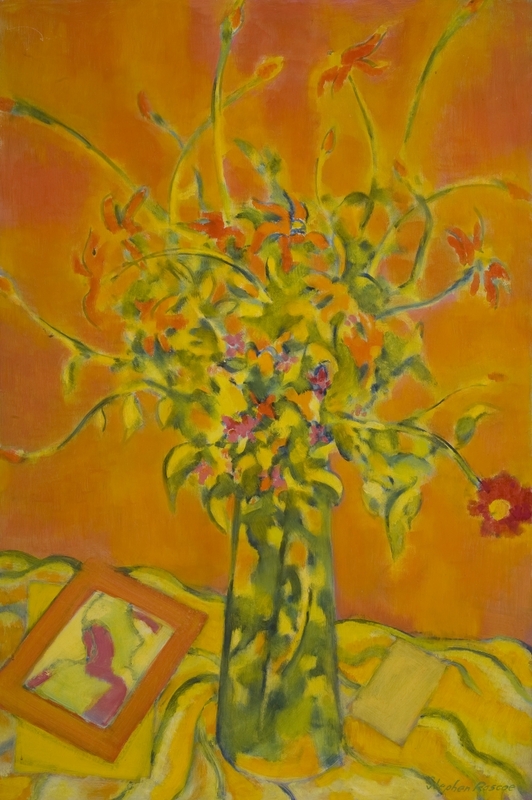 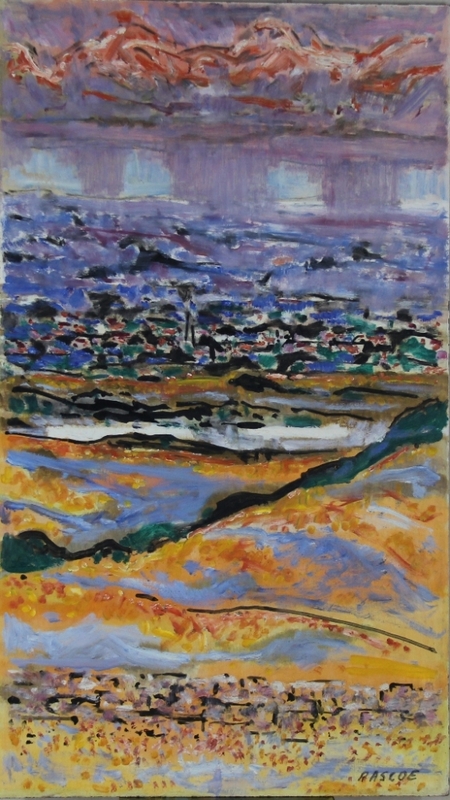 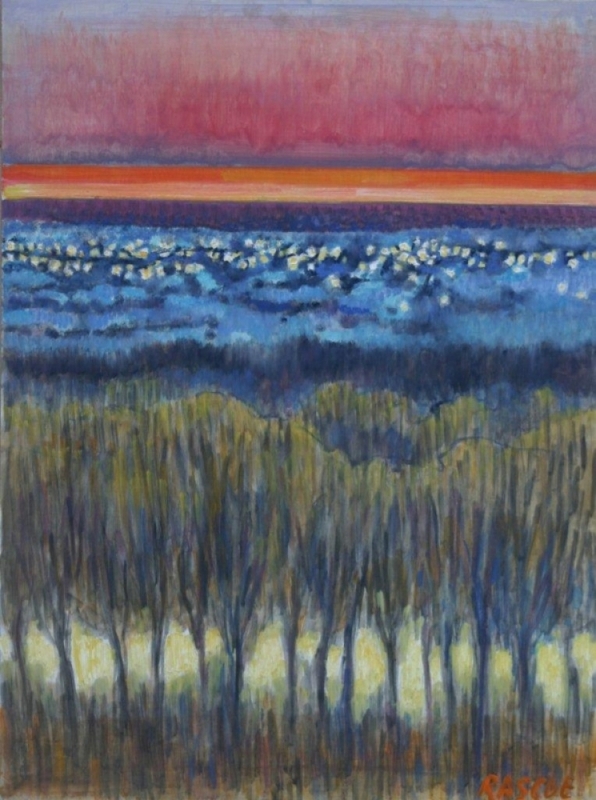 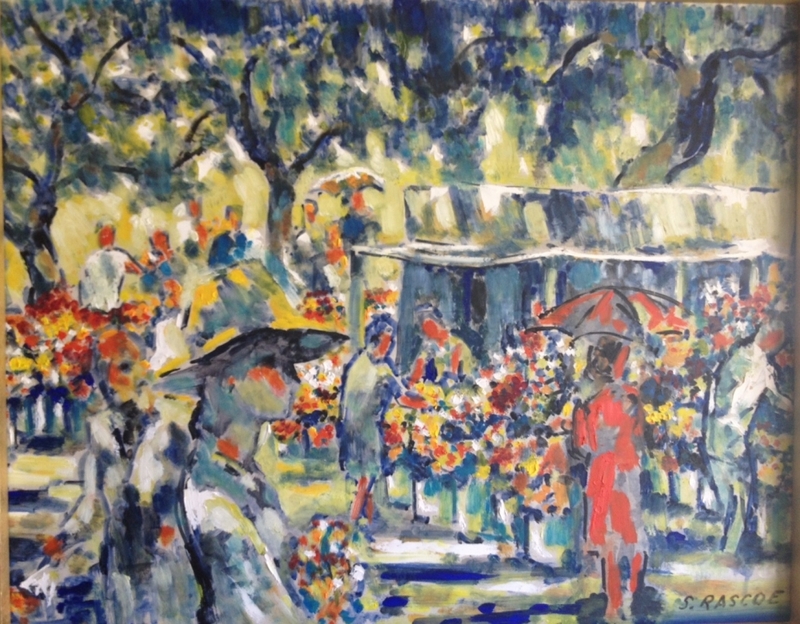 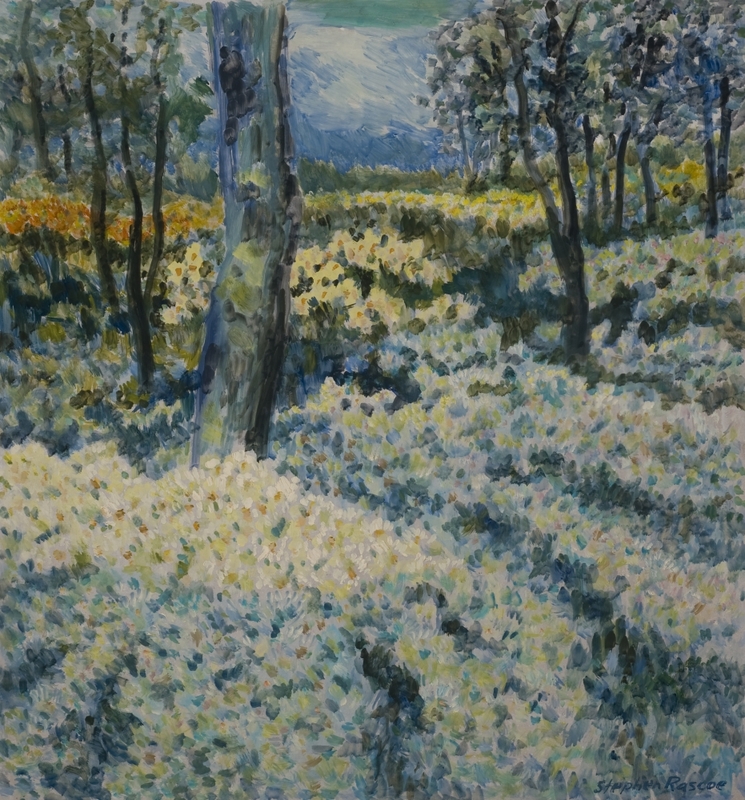 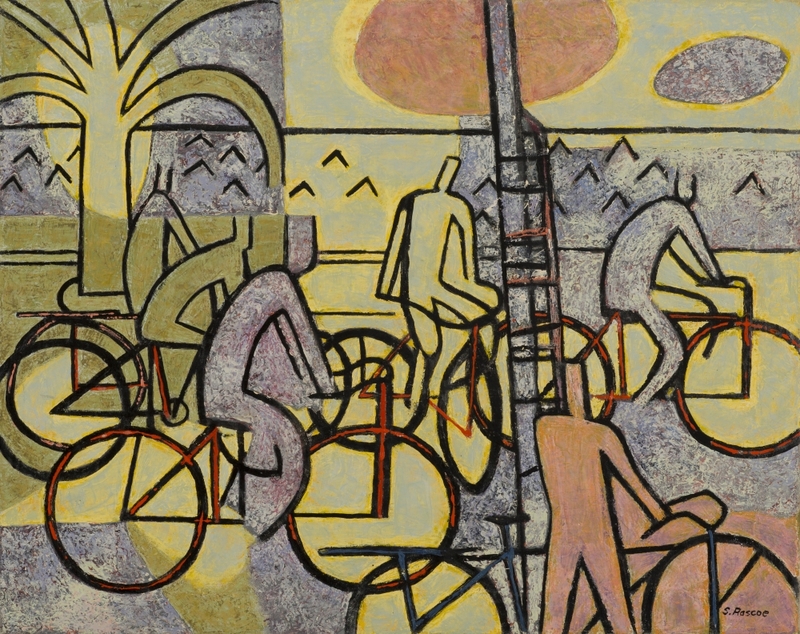 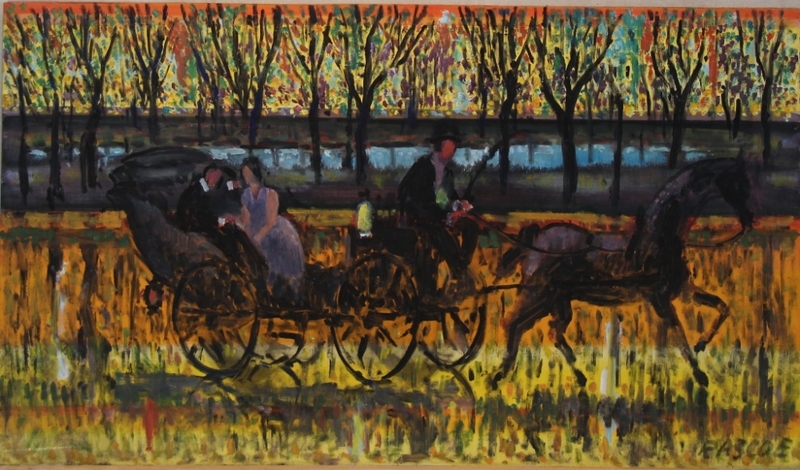 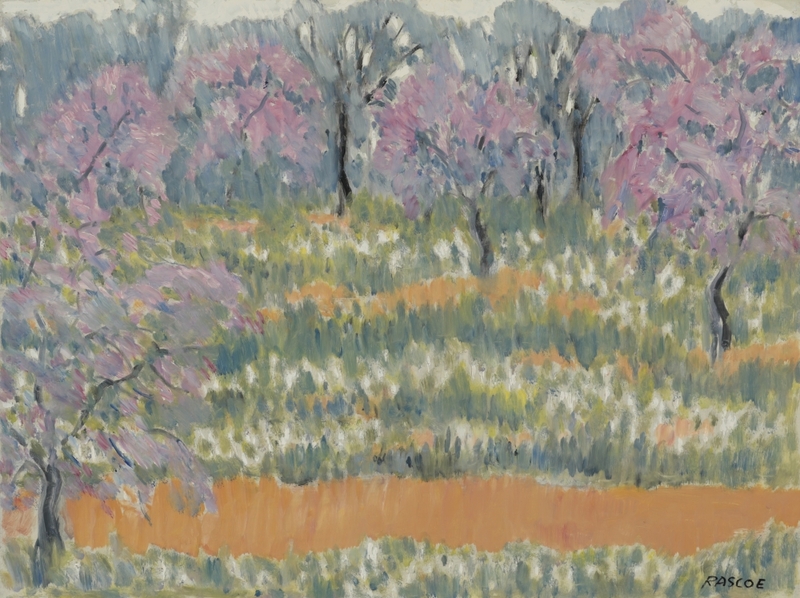 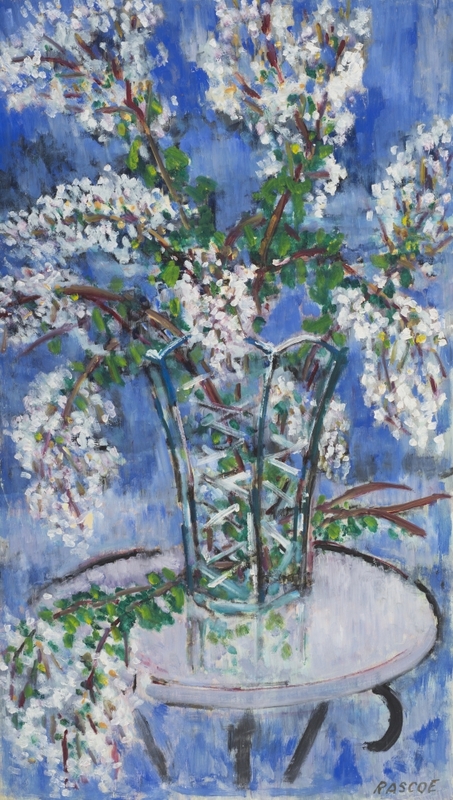 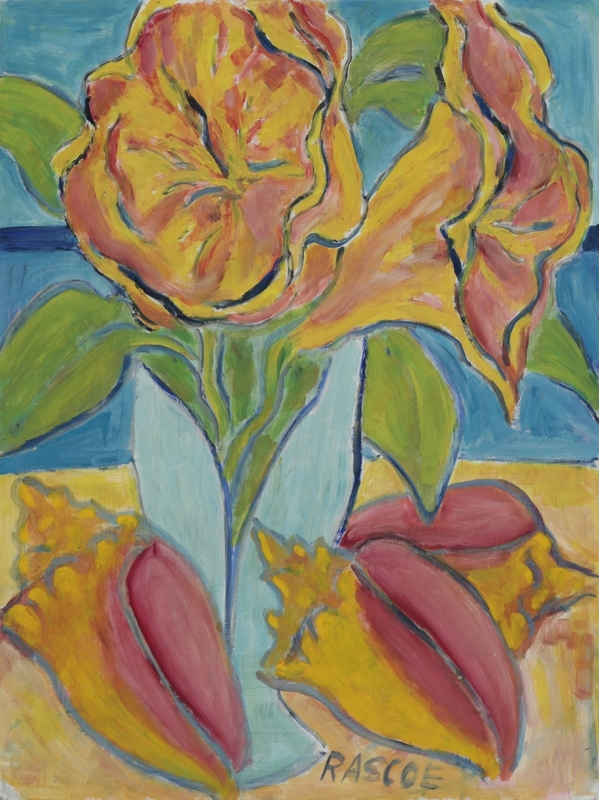 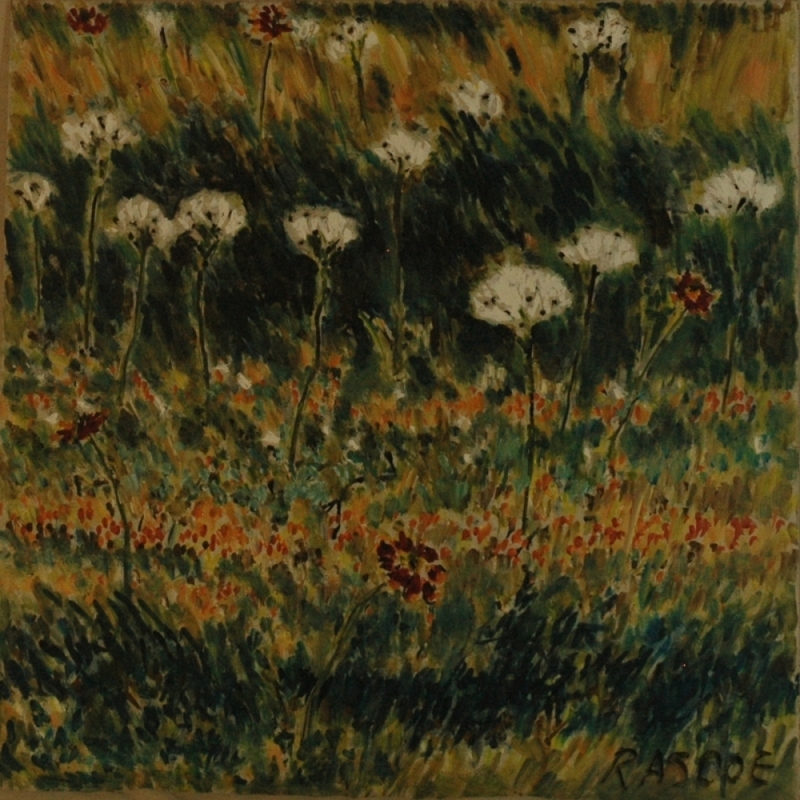 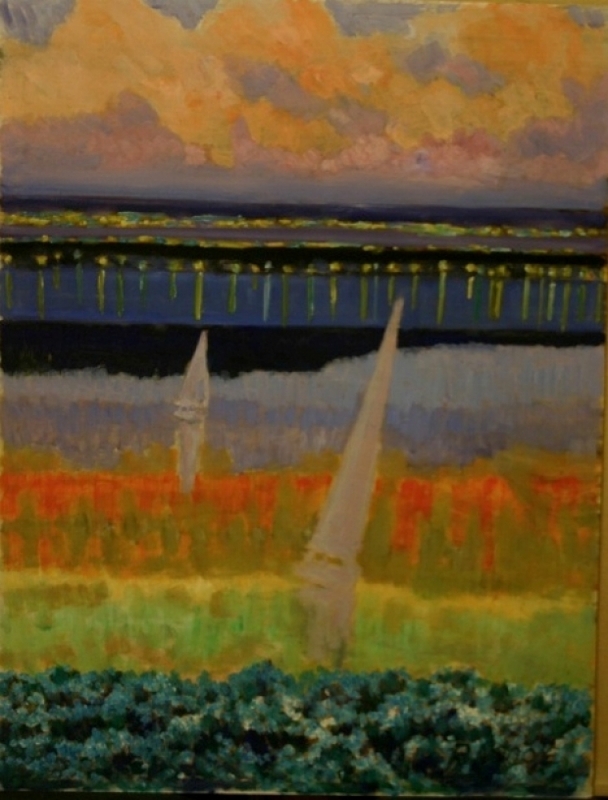 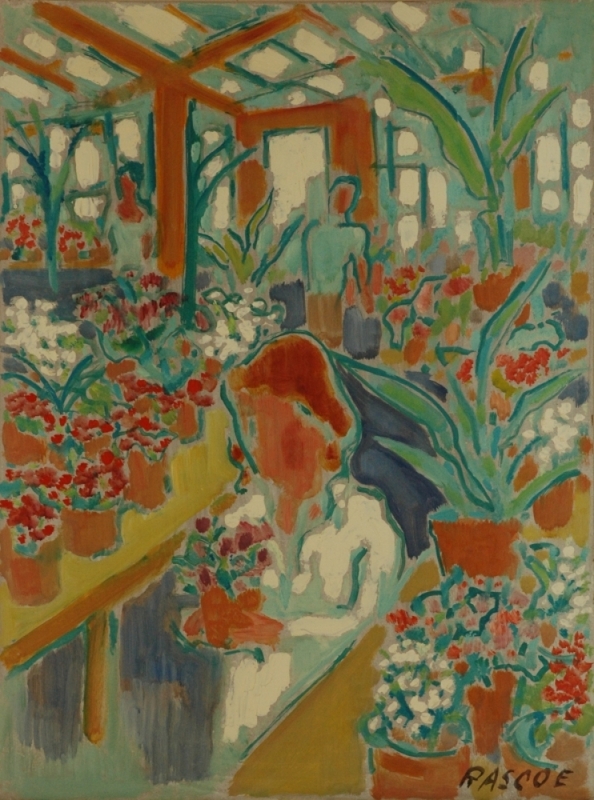 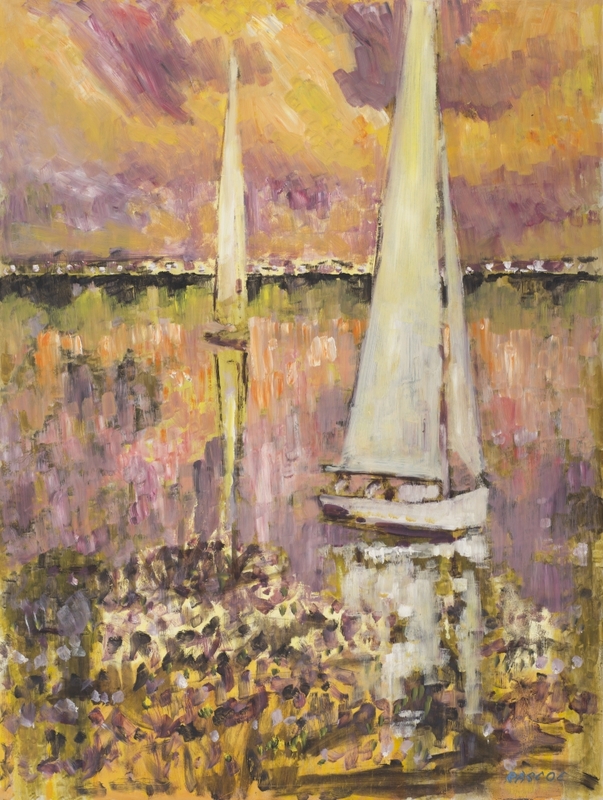 Rascoe’s paintings can be found in the permanent collections of the Dallas Museum of Art, the Houston Museum of Art, the Art Museum of South Texas, the Texas A&M University Museum, UTA, Southern Methodist University, Texas Fine Arts Association Laguna Gloria Museum, and the Blanton Museum of Art in Austin. 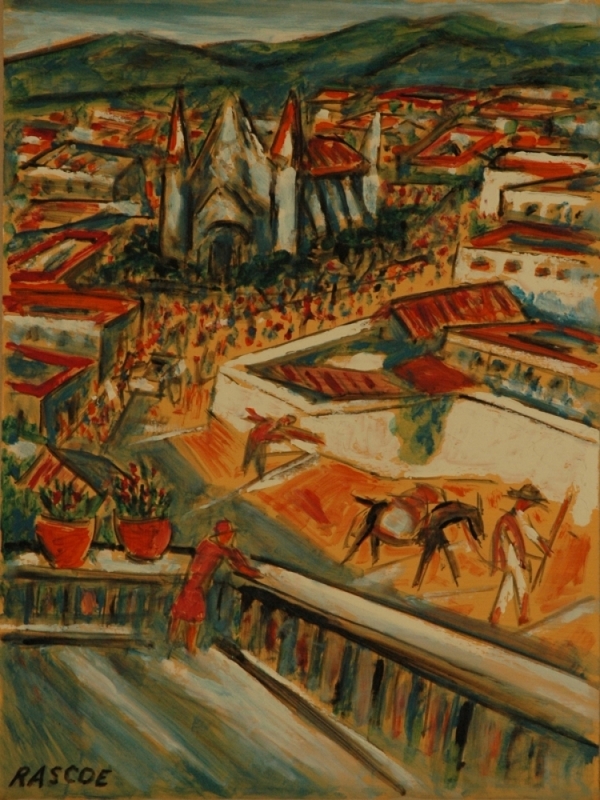 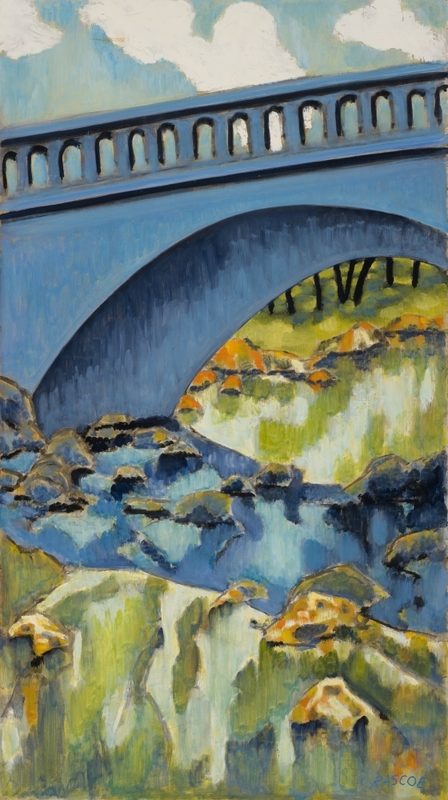 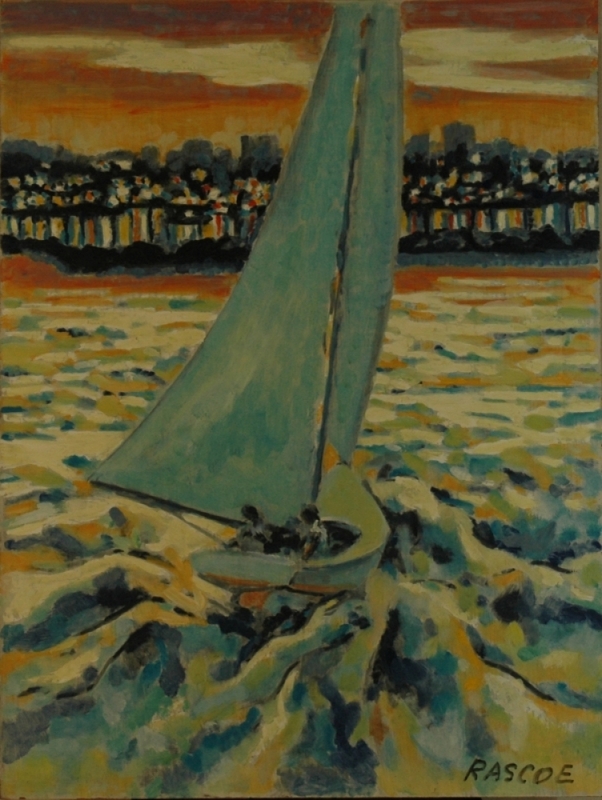 His work also appears in numerous private and public collections.